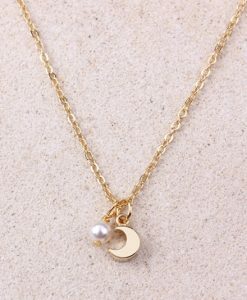 Crescent moon are symbolic of growth, enlightenment and eternity. 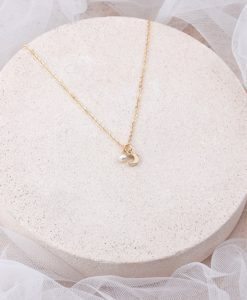 It would make a great gift for someone special! 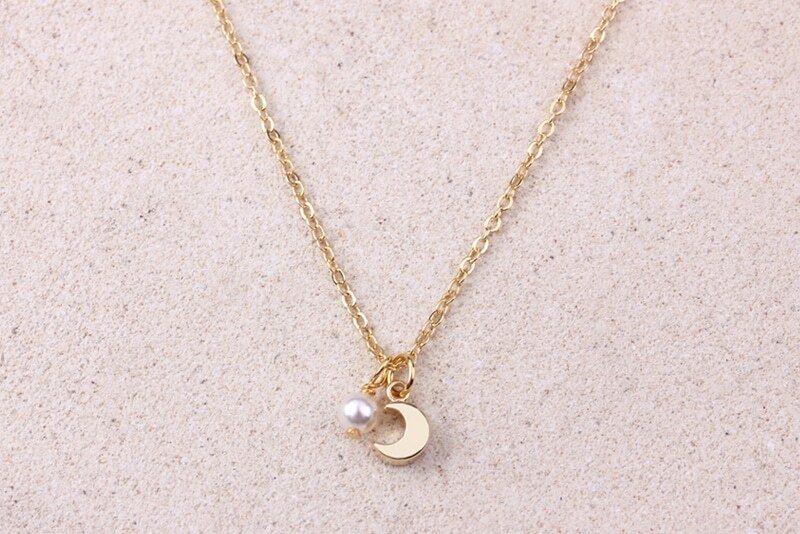 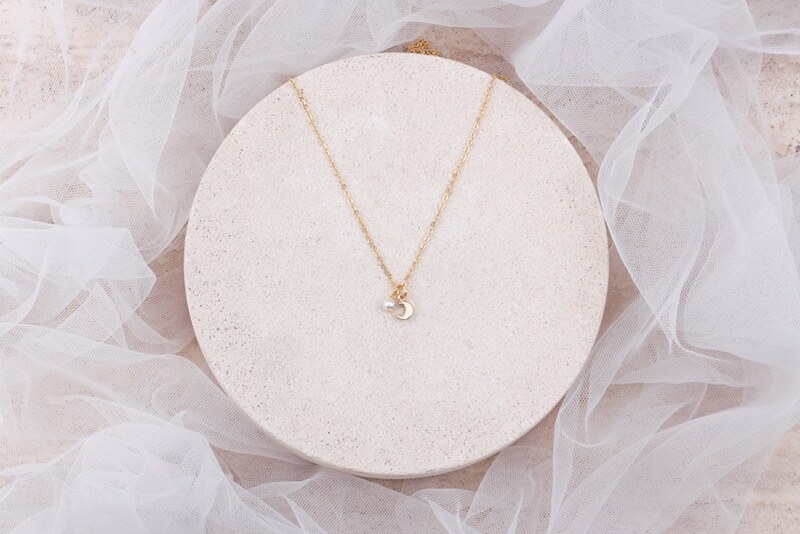 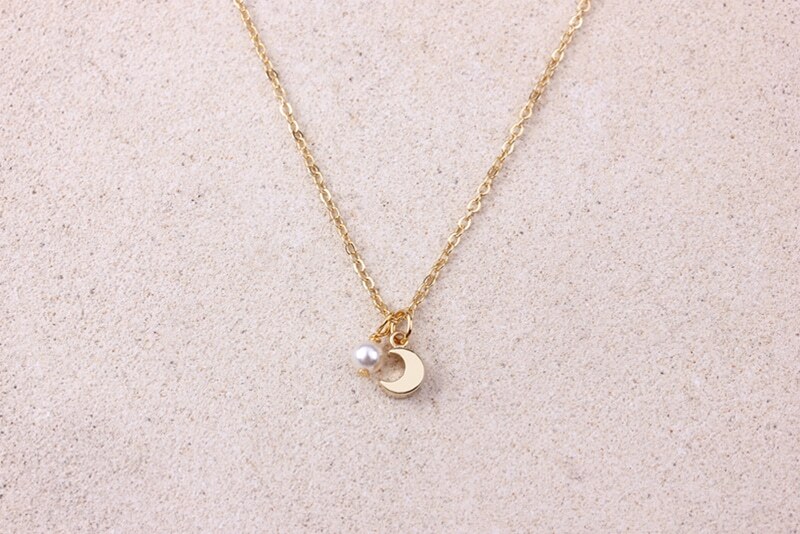 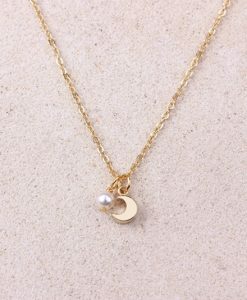 This dainty necklace features a 3D moon pendant adorned with the Swarovski Pearl. 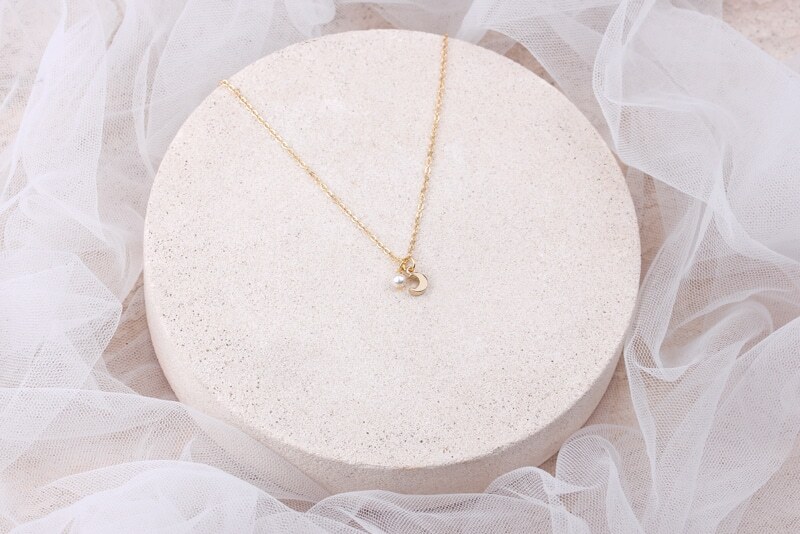 The pendant measuring 9x6mm wide. 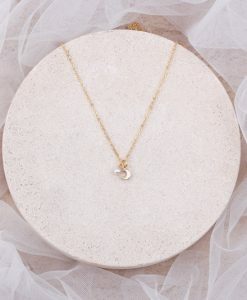 Hung in a 41cm gold plated chain.